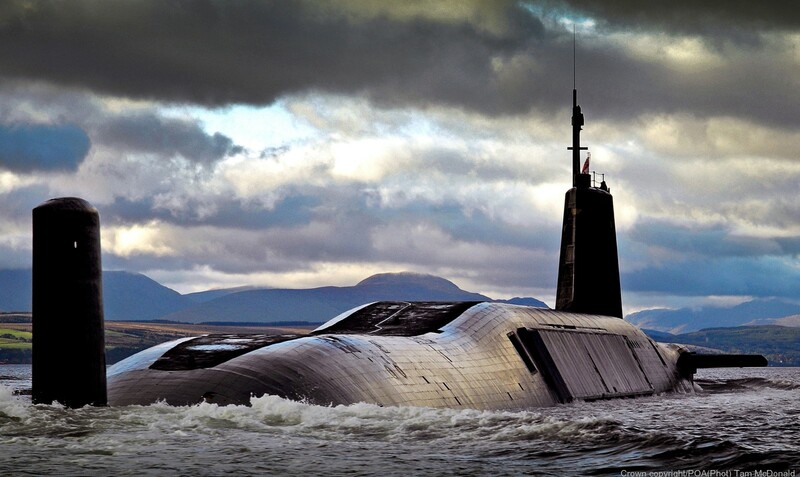 Builder: Vickers Shipbuilding & Engineering Ltd, Barrow-in-Furness, Cumbria, U.K.
On 31 March 2011, while on a training exercise Vengeance suffered a blockage in her propulsor causing a reduction in propulsion. 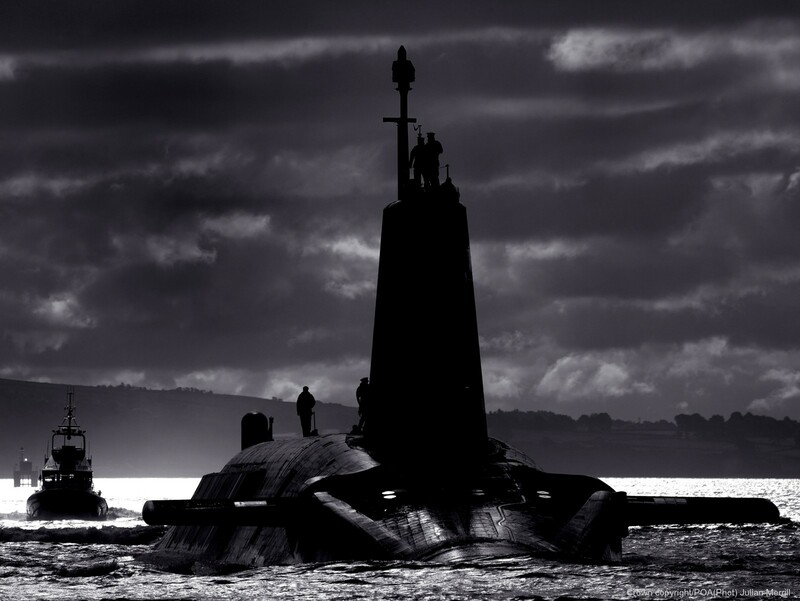 The boat returned to Faslane naval base on the surface under her own power. According to the MOD the problems were not nuclear related. In 2012, Vengeance started a three-and-a-half year refit at HMNB Devonport near Plymouth while her sister ship Vigilant is taking her place. She sailed from Devonport on 4 December 2015, her place in refit being taken by Vanguard.